Lee & Plumpton is delighted to announce the launch of a new range of sit-stand solutions for the modern office. Named ‘InMotion’, the new range incorporates standalone and back-to-back sit stand desks in a wide variety of size, shape and colour formats. 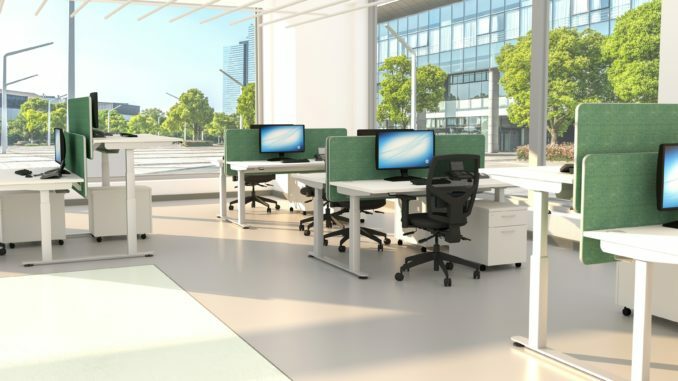 Each desk is fitted with a choice of either an electric motor or a retractable manual mechanism. The launch of InMotion follows a recent publication of research in the British Medical Journal (BMJ) that suggests sit-stand desks could improve productivity in the workplace. There is already a growing body of evidence that, although not conclusive, a number of health benefits – including a reduced incidence of musculoskeletal issues – could be associated with sit-stand desks.